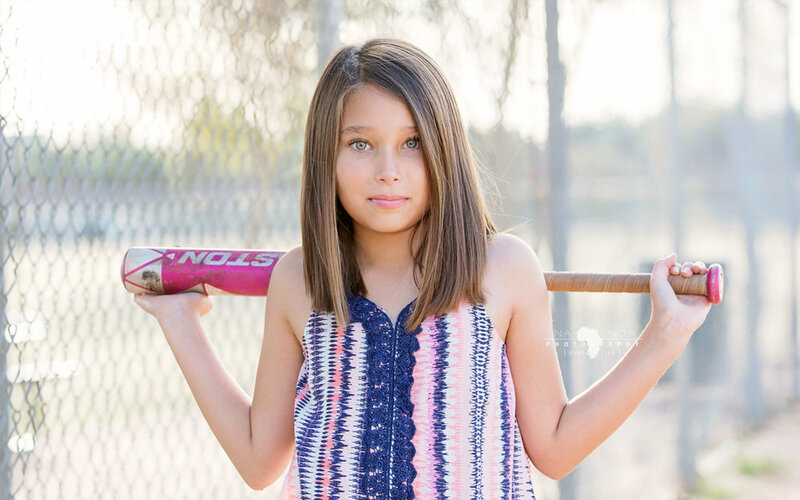 As part of our spokesmodel application we asked for applicants to tell us a little more about their child to guide our session planing and styling. Kiera’s mom said this about her. 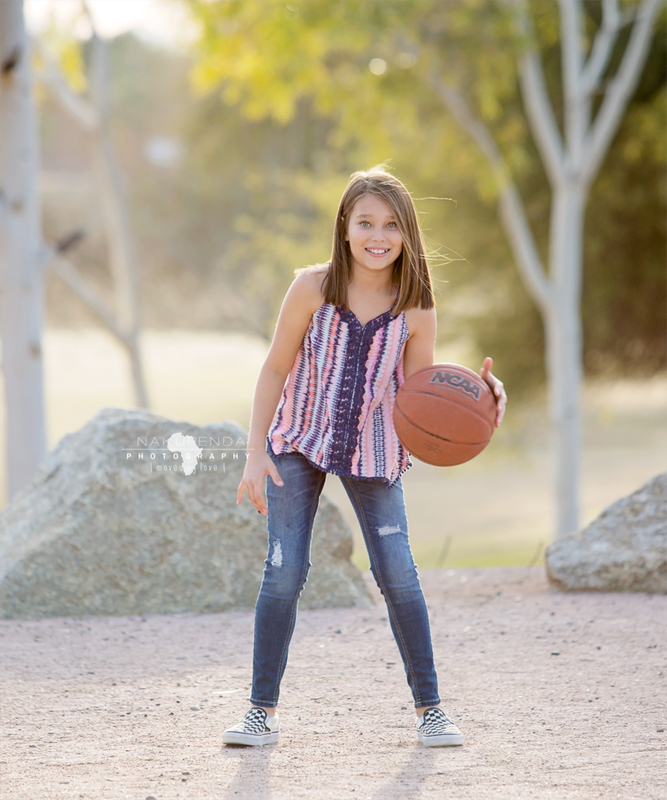 We loved her mom’s suggestion for a glammed up sports session and felt it was a perfect picture of Kiera as the beautiful, dedicated, strong and fierce girl that she is. Keira showed up with her softball gear, a basketball, a couple of cute outfits and her game face. Her beauty is captivating. Her spirit is kind. Her competitive side might stay a little hidden upon first encounter so I loved seeing a new side of her during this session. 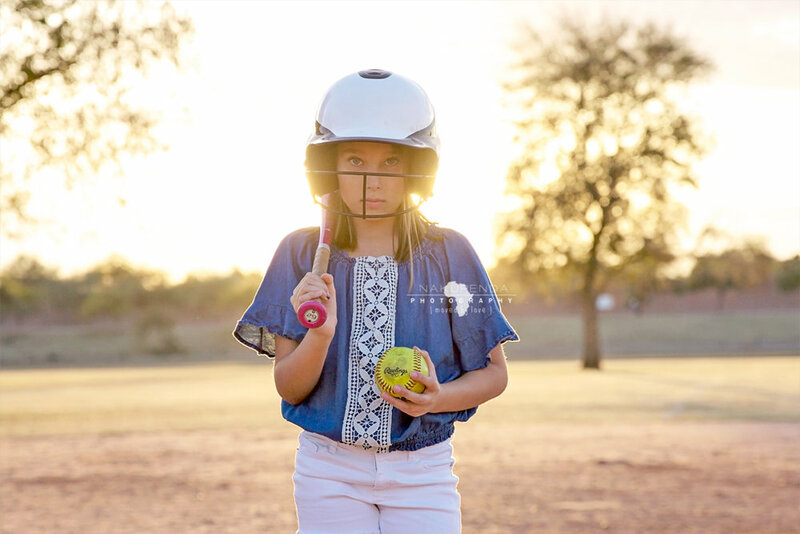 It is rare that I get to photograph girls as athletes (outside of our amazing dancers and gymnasts) and I fully embraced the opportunity to do something new! I find myself enamored with capturing children with their passions. Sports teach lessons and shape so much of who a child becomes and we love photographing the process. Want to set up a custom portrait session for your child? E-mail me at katieharrison@nakupendaphotography.com to set up a session today.